Family Fund will be joining us togive up to dateinformation on how to apply for funding, what type of things can be applied for and any other questions. 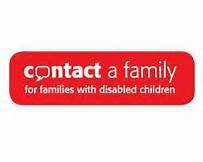 Contact a Family will give a shortpresentation with advice on SEND reforms. Scope sleep practitioners will be there to give a short presentation on the sleep solutions service. Scopes face 2 face will be giving information on what the face 2 face service provides.